1. Plan ahead. Contrary to popular belief, there’s no problem with heading to Disneyland Resort in the middle of summer or on the weekends—but you’ll want to make sure you plan ahead, rather than waiting to the last minute. You’ll likely find that booking anything last-minute gets expensive, whether it’s your transportation or accommodation, and you’ll have more opportunity to find deals if you start looking in advance. It’s also good to be a bit flexible about your dates, if you can. But really, you can plan a budget trip to Disneyland at any time of the year! 2. Decide how you’ll get there. Look into your options for transportation—depending on where you’re coming from, it might be cheaper to drive rather than fly, and if you have the time to do so, this is a way of saving money on your trip right out of the start-gate. Although you might cringe at the idea of taking the kids on a road-trip, there are plenty of resources out there for how to entertain kids on a road trip. Get together some activity boxes for the kids full of coloring books, mini board games, comics, or other activities that they like. You can also load some movies onto a tablet or smartphone. 3. If you’ve flown, decide if you really need a rental car, or if other transportation methods will do the trick. You can often find cheap flights with budget airlines nowadays, though, so driving isn’t your only option. If you have decided to fly, you might be able to book accommodation where an airport shuttle service is included, and there are a lot of shuttle services that will take you to the park. In fact, you can use public transportation to reach Disneyland from downtown LA. If you can do without a car, you’re not only saving the cost of the rental, but you’re also saving on parking fees—which start at $15/day! 4. Be smart about eating. Eating in the parks can be prohibitively expensive, but you know your kids are going to get cranky if you don’t feed them. You can eat breakfast before you arrive at the park, but then what? The best advice is to bring some small snacks like granola bars or crackers, and you can also pack a lunch and have a picnic right outside the main entrance—think about leaving your food in lockers at the start of the day if you don’t want to make the trek back to the car. If you do purchase food in the parks, have kids split entrées, which are sometimes too big for one child anyway. 5. Keep hydrated for less. Although you can’t bring food into the California parks, you can—and should—bring in water bottles. You may not really want to carry them around all day, but you will when you see the prices of water in the park! Rather than bringing one bottle per person, you can always opt for a larger bottle to share and refill it at water fountains around the parks. 6. Don’t spend a fortune on souvenirs. Disney makes some cool souvenirs, and especially when your kids see other kids walking around with plushies and pins and shirts and whatever else, they’re probably going to want something of their own. Rather than buy souvenirs in the parks, though, it’s much cheaper to buy them online—you could even do this before you go, and let your kids have the souvenirs during the trip. The main thing is not to let your kids have the final say on what they get or you might find yourself shelling out $20 for a pair of Mickey Mouse ears that they’ll never wear again! 7. Look for rental accommodation rather than a hotel. 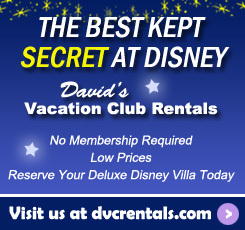 If you’re travelling with family, rather than booking a couple hotel rooms, it’s often cheaper to rent points to stay at a Disney Vacation Club (DVC) Villa. At Disneyland, renting points to stay at the Villas at Disney’s Grand Californian Hotel & Spa is a smart way to experience Disney’s deluxe accommodations. You can save as much as 50% or more off rack rates and that’s a very good value! 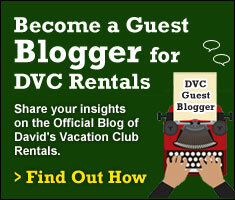 Not only that, but staying in a DVC Villa will give you access to a kitchen and laundry. You can save a lot by cooking even some of your meals rather than buying them all at the park or being stuck with a crummy continental breakfast. Having access to laundry means saving even more on baggage fees at the airport. 8. Be realistic about how many days you’ll spend there. If you ask your kids how long they want to spend at Disneyland, they’ll probably tell you forever—but after a while, it’s all going to blur together anyway. Decide how many days you want to spend there and get your tickets accordingly. It’s usually cheaper per day to buy a pass for a couple days or even for the season, depending on how much you’ll use it, but that doesn’t mean you’re going to want to be there for enough days to make it worth it. 9. Pack smart to avoid last-minute purchases. If you’ve forgotten something important and need to get it at the resort, you’re in for a bit of a shock. Yes, you can buy sunscreen at Disneyland—but often for exponentially greater prices than you’d see in a store. Ditto for rain ponchos. The thing is, they know you’re going to need them and that there’s no other substitute. Your best way to avoid these expenses is to think ahead and pack for all possible scenarios. 10. Take your own photos rather than buying them. Disney’s PhotoPass might seem like a great idea—they’ll use professional photographers to get you great shots of your vacation. But at a whopping $70 (or $100 if you don’t book ahead of time online), it’s a bit pricey. These days, even smartphones have great photo capabilities, and so do a lot of point and shoot digital cameras. You don’t have to be a trained photographer to capture the magic smiles on the faces of happy children. 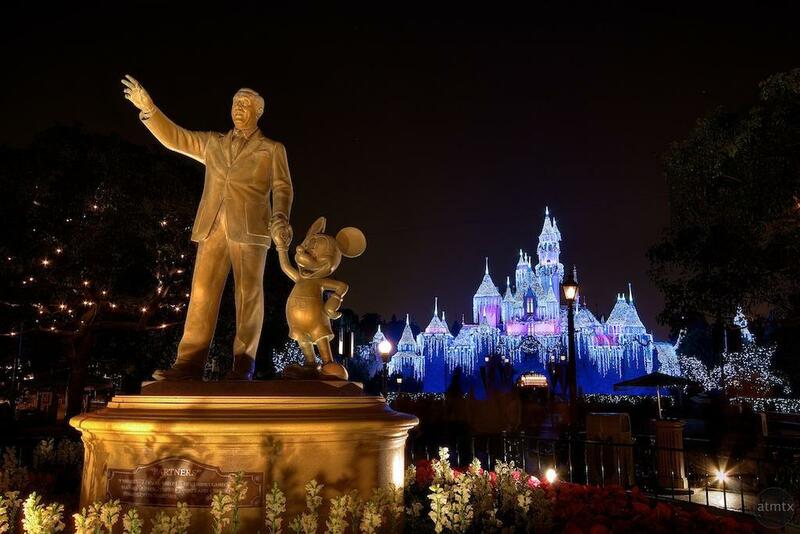 Although you might feel some trepidation about the cost of your upcoming trip to Disneyland, these tips will help you minimize the financial burden while still maximizing the amount of fun you and your kids have on the trip. A trip to Disneyland can definitely still be fun if done on a budget. Play your cards right and you might just find yourself up for Parent of the Year as far as your kids are concerned. Get ready to say cheese! 3 thoughts on "How to Enjoy Disneyland Resort on a Budget"
We have groceries and gallons of water delivered from Vons when we fly. We also have ‘Mickey’ leave a present every night in our room in lieu of buying souvenirs. Most are bought in advance and on sale. But, we also take advantage of the AP 20% off discount. Finally, just wanted to clarify snacks are fine to bring into the park and Disney is really lax with that definition. Vons would not deliver to DGC for me 2 weeks ago – only if I had a US credit card… So not a great option for Canadians. However, White Water Snacks at DGC has some of the DVC usual food offerings: cereals, milk, juice, bacon, eggs and it is relatively ok priced.